It has nothing to do with the burning of the house by the British in 1814, although every schoolchild is likely to have heard the story that way. The building was first made white with lime-based whitewash in 1798, when its walls were finished, simply as a means of protecting the porous stone from freezing. Why the house was subsequently painted is not known. Perhaps presidents objected to the dirty look as the whitewash wore away. The house acquired its nickname early on. 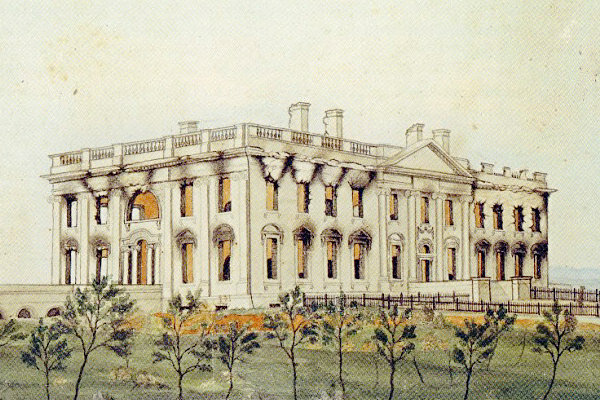 Congressman Abijah Bigelow wrote to a colleague on March 18, 1812 (three months before the United States entered war with England): “There is much trouble at the White House, as we call it, I mean the President’s” (quoted in W. B. Bryan, “The Name White House,” Records of the Columbia Historical Society 34-35 : 308). The name, though in common use, remained a nickname until September 1901, when Theodore Roosevelt made it official. Be that as it may, the burning of the president’s home by the British army under General Ross has been immortalised in history. (One eyewitness testified to Ross personally being involved in piling up the furniture prior to the building being set alight). Interestingly, as Anthony Pitch points out in his book, “Invasion”: The Burning of Washington – the British Invasion of 1814, p.xi, the White House still bears the scars from Ross’ visit; ‘scorch marks are still visible from the fire of 24 August 1814 on the stone archway leading into the kitchens below the north portico’. The burning of the public buildings in Washington continues to stoke up a lively debate with some arguing that it was carried out in retaliation for the Americans burning British-controlled York (modern-day Toronto), Upper Canada, in April 1813. Others, by contrast, believe that the decision was influenced by events when General Ross approached the city following his decisive victory at the Battle of Bladensburg (24th August 1814). His original intention, it has been argued by some, was to secure a ransom for the city. Entering Washington under a flag of truce, a volley of shots was fired at Ross from a nearby house (and perhaps from the Capitol – as some British officers alleged at the time), killing Ross’ horse, several of his men and wounding others. The intention to exact a ransom from the American government in lieu of burning the public buildings was abandoned as a result. Whatever the reason, both American and British accounts agree that General Ross ensured that private property was respected in Washington. 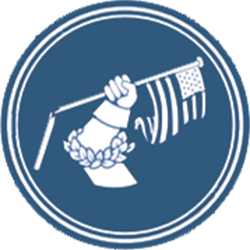 The violation of the flag of truce, it was argued by some on the British side at the time, exposed Washington to total destruction by the prevailing conventions of warfare. Most commentators, both contemporary and modern, agree that the notorious Admiral Cockburn who accompanied Ross to Washington would have laid the entire city in ashes had he not been restrained by Ross. 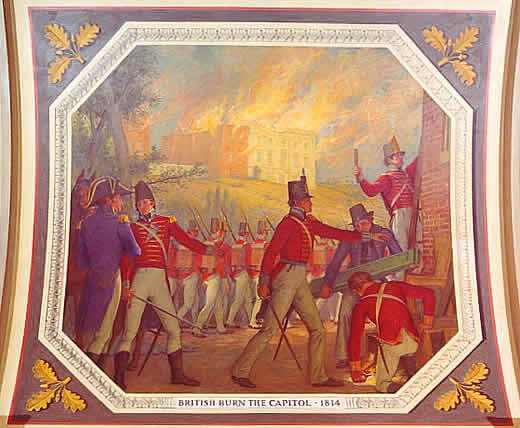 Above: A mural depicting the burning of the Capitol by the British Army led by General Ross. Mural by Allyn Cox, Oil on Canvas, 1973-1974, located in the Hall of Capitols in the Capitol.